The electric-car maker lost $710 mln last quarter. It also missed more production targets, annoyed a regulator, lost more key staff, clamped down on costs and got less than ecstatic support for CEO Elon Musk’s bonus plan. Better to sell new stock now than wait for more bad news. 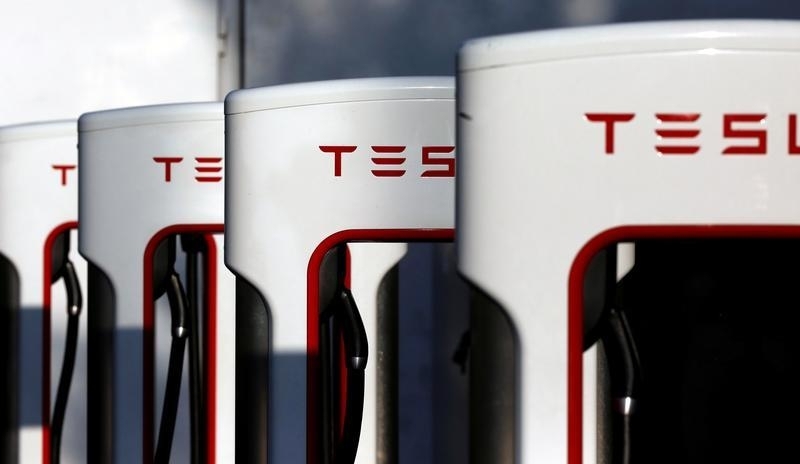 A Tesla Supercharger station is shown in Cabazon, California, U.S. May 18, 2016. Tesla on May 2 reported a first-quarter loss of $710 million, or $4.19 a share. That missed the consensus estimate of sell-side analysts for a loss of $4.04 a share. Revenue of $3.4 billion beat analysts’ expectations of $3.2 billion. Cash and cash equivalents on the company’s balance sheet fell by almost $750 million, to $3.2 billion. On May 1, Nikola Motor sued Tesla, alleging design-patent infringements. The maker of hydrogen-powered trucks says Tesla’s Semi heavy-duty truck is “substantially” similar to its own design. Nikola says the U.S. Patent and Trademark Office between February and April this year issued it with six design patents for its wrap windshield, mid-entry door, fuselage, fender, side cladding and overall design of Nikola One. A Tesla spokesman rejected the claims, telling Reuters in an email that “It’s patently obvious there is not merit to this lawsuit."